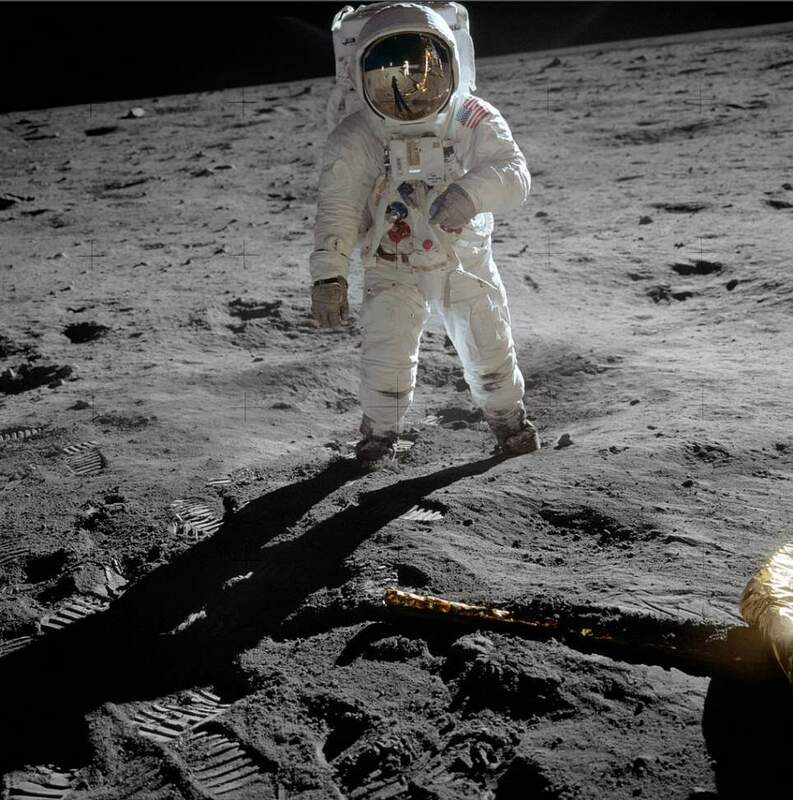 Digitalizing the collection of the Apollo 11 Mission Audio, which was completed by University of Texas at Dallas researchers, was actually a mammoth task. There were more than 200 14-hour analog tapes, each with 30 tracks of audio. What’s more, the original historic tapes can only be played on a piece of equipment from the 1960s called a SoundScriber, a dictation machine introduced in 1945 by The SoundScriber Corp. (New Haven). It records sound with a groove embossed into soft vinyl discs with a stylus. Due in part to the robustness of the discs and the ease with which they could be mailed, the format remained popular for two decades before it was superseded by magnetic tape recorders. The new read head has cut the digitization process from years to months. That task became the job of Tuan Nguyen, a biomedical engineering senior who spent a semester working in Houston. Once they transferred the Apollo 11 Mission audio from reels to digital files, researchers needed to create software that could detect speech activity, including tracking each person speaking and what they said and when, a process called diarization. They also needed to track speaker characteristics to help researchers analyze how people react in tense situations. In addition, the tapes included audio from various channels that needed to be placed in chronological order. Moon Landing: Astronaut Buzz Aldrin, lunar module pilot, stands on the surface of the moon near the leg of the lunar module, Eagle, during the Apollo 11 moonwalk. Astronaut Neil Armstrong, mission commander, took this photograph with a 70mm lunar surface camera. While Armstrong and Aldrin descended in the lunar module to explore the Sea of Tranquility, astronaut Michael Collins, command module pilot, remained in lunar orbit with the Command and Service Module, Columbia. This is the actual photograph as exposed on the moon by Armstrong. He held the camera slightly rotated so that the camera frame did not include the top of Aldrin’s portable life support system (“backpack”). A communications antenna mounted on top of the backpack is also cut off in this picture. When the image was released to the public, it was rotated clockwise to restore the astronaut to vertical for a more harmonious composition, and a black area was added above his head to recreate the missing black lunar “sky”. The edited version is the one most commonly reproduced and known to the public, but the original version, above, is the authentic exposure. This image was cataloged by NASA Headquarters of the United States National Aeronautics and Space Administration (NASA) under Photo ID: AS11-40-5903. Apollo 11 was the spaceflight that landed the first two humans on the Moon. Mission commander Neil Armstrong (August 5, 1930 – August 25, 2012) and pilot Buzz Aldrin (born Edwin Eugene Aldrin Jr.; January 20, 1930) landed the lunar module Eagle on July 20, 1969, at 20:18 UTC. A third astronaut, Michael Collins (born October 31, 1930) piloted the command module Columbia alone in lunar orbit while they were on the Moon’s surface. 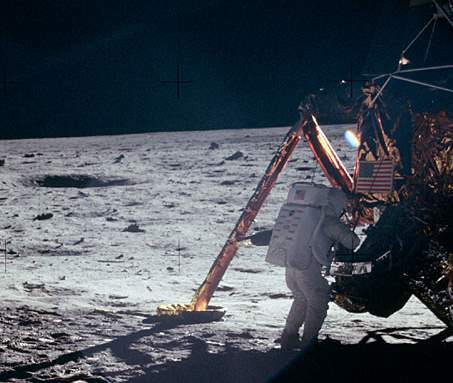 Armstrong became the first to step onto the lunar surface six hours after landing on July 21 at 02:56:15 UTC; Aldrin joined him about 20 minutes later. Significant events of Apollo 11 and proposed constellation mission. Apollo 11 launched from Cape Kennedy on July 16, 1969, carrying Commander Neil Armstrong, Command Module Pilot Michael Collins and Lunar Module Pilot Edwin “Buzz” Aldrin. About 12 minutes later, the crew was in Earth orbit. After one and a half orbits, Apollo 11 got a “go” for what mission controllers call “Translunar Injection”. In other words, it was time to head for the Moon. Three days later the crew was in lunar orbit. A day after that, Armstrong and Aldrin climbed into the lunar module Eagle and began the descent, while Collins was orbiting the Moon in the command module Columbia. Eagle landed in the Sea of Tranquility at 20:17:40 UTC on Sunday, July 20 with only about 25 seconds of fuel left. 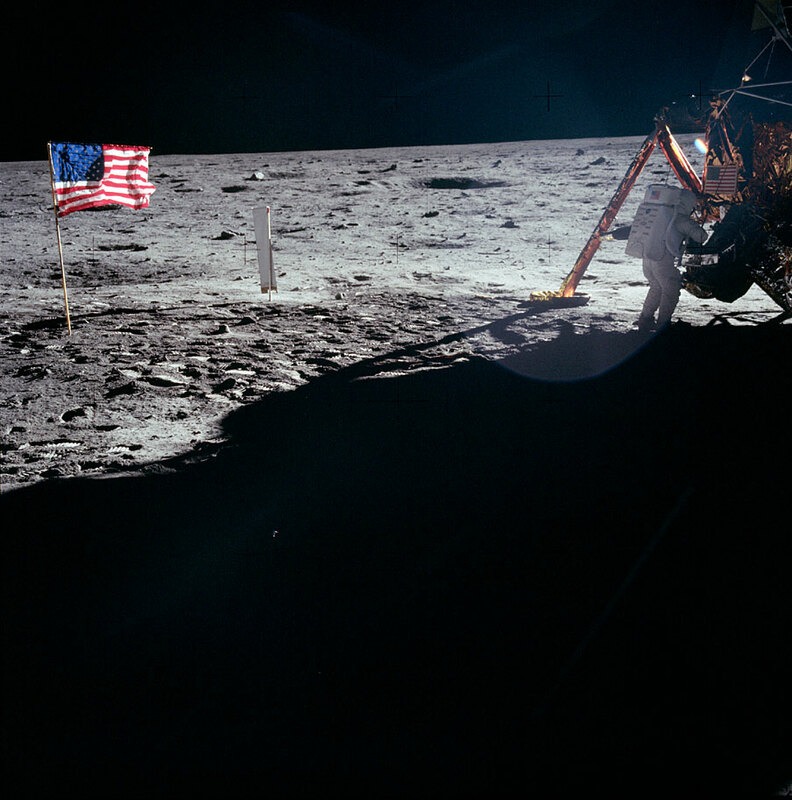 Armstrong and Aldrin stayed a total of 21 hours, 36 minutes on the lunar surface. The astronauts used Eagle’s upper stage to lift off from the lunar surface and rejoin Collins in the command module. They jettisoned Eagle before they performed the maneuvers that blasted them out of lunar orbit on a trajectory back to Earth. They returned to Earth and landed in the Pacific Ocean on July 24.